Liverpool manager Brendan Rodgers must keep his job, but the club should sell striker Mario Balotelli and buy a defender, according to Robbie Savage. 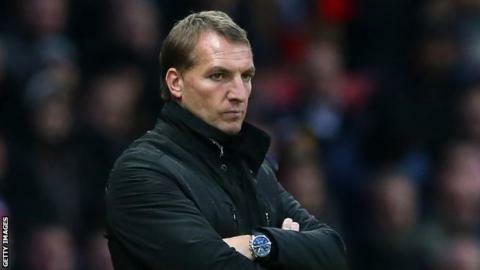 Rodgers has come under pressure after a start to the season that has left the Reds 11th in the Premier League and out of the Champions League. But Savage said: "Rodgers is the man that deserves to take them forward. "I'd try and get as much money as you can for Balotelli in the January transfer window." Balotelli has scored only two goals in 15 appearances since joining from AC Milan for £16m in August. "His goalscoring record for AC Milan and everywhere he's been has been OK, so, for £16m, he was worth taking a chance on. But I don't think he's done anything," former Wales midfielder Savage told BBC Radio 5 live. "I'm a big fan of Rodgers. He can improve teams and players, as he's shown. He's been a little bit unlucky as some of his signings haven't worked out." With Simon Mignolet having been dropped in favour of Brad Jones for Sunday's 3-0 defeat by Manchester United, Savage believes a new goalkeeper should be a priority for Rodgers. "I played with Brad Jones - he came to Derby on loan, he's a lovely lad. But I'm not convinced by him being in goal for Liverpool," said Savage. "If you go to Old Trafford and you're putting Brad Jones in goal ahead of Mignolet, what does that say about the number one?" Savage also believes that Liverpool's fortunes will improve when injured striker Daniel Sturridge, who has not played for the Reds since August, returns. "I don't think you can judge Brendan Rodgers this season until he's got his main striker back," said Savage. Meanwhile, Rodgers is "relaxed" about speculation linking "talisman" Raheem Sterling with a move away from Anfield. "Hopefully it is not going to be the case. We are trying to build something here," said Rodgers.